Work is keeping me very much occupied, which is a good thing because van conversions are super expensive. That doesn’t mean that the van planning has to stop, however. More and more goodies keep arriving here in Pinole. 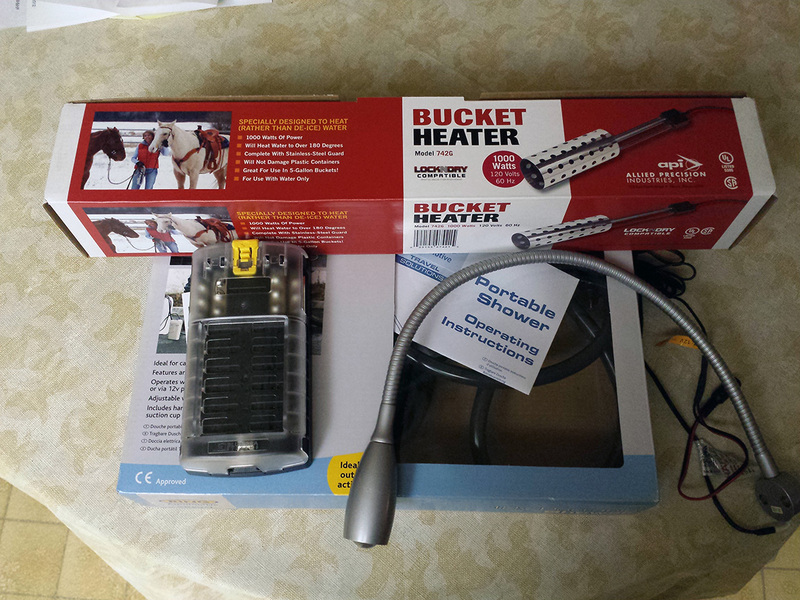 Pictured here is a 12 volt portable shower, a 1000 watt bucket heater, an LED reading light, and a fuse block. The portable shower and the bucket heater are my solution to the hot shower problem. Yes, it’s just as unconventional as the showering in a giant sink idea. You’ve already figured out that almost nothing about this conversion is going to be normal, right? No tankless electric water heater on the planet operates on less than 1800 watts, so I’m really hoping that the bucket heater will do the trick. After heating the water, one simply drops the pump part of the portable shower in the bucket, and vóilà! A hot shower! I might even be able to hook it up to the fresh water tank and avoid spending $200 on a real pump and faucet, but I’m honestly a little skeptical that it’s going to work. 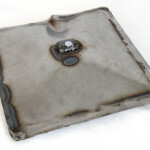 Why not heat my bath water on the stove? I don’t know why I think this, but it seems to me that heating water in a pot over an induction cooktop would be less efficient than sticking an electric coil directly in the water. Far greater risk of electrocution, however.